Cupcakes with lemon cream and wild cherries, amazing and sweet delicacy! Decadent, seductive and enchanting with flavor, Amarena Fabbri today, more than a hundred years after its inception, is made from the same wild cherries from an old family recipe. Exclusive product for toppings on ice creams and creams and an ingredient in magnificent chiyzkeykove and desserts, and a remarkable emphasis in many savory dishes. This recipe where wild cherries play a key role on the taste is aromatic cocoa cupcakes for a slightly crunchy texture filled with fragrant lemon cream and finishing touch – sprinkled with syrup and wild cherries Amarena Fabbri. Simply irresistible! Cupcakes with lemon cream and wild cherries, amazing and sweet delicacy! To prepare the dough, first sift the flour into a deep bowl, add sugar, softened butter, cut into pieces, egg yolk, cocoa, baking powder and salt. Mix quickly until all ingredients form a soft, moist dough. Shape it into a ball, wrap in plastic wrap and store in the refrigerator for 30 minutes. For the lemon cream shake ytsata, egg yolks, sugar, lemon juice and zest. Transfer to a saucepan or casserole and add the oil. Heat on low heat with stirring until butter is completely melted. It is preferable to work in a water bath. Cook for 6 minutes, stirring continuously, until you are sure that the cream reaches boiling point. Remove from heat and add 2-3. L. Of wild cherries and some of their syrup. Cupcakes with lemon cream and wild cherries this recipe is a real sweet fantasy that will make time for dessert a really special moment! Leave to cool. Already chilled dough, roll, sprinkle it lightly with flour, then cut into circles and fill the forms for cupcakes, which have previously smeared with vegetable oil. Prick with a fork at the base in several places, cover with parchment paper, put on her small amount of lentils, beans and so on..
(This will keep the dough in the selected shape) and bake in oven for 10 minutes 180`C. Remove from oven and let cool well. 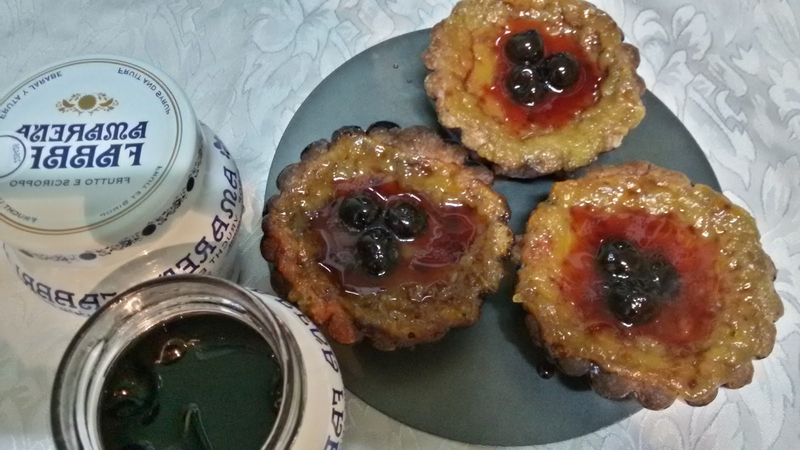 Then fill cupcakes with lemon cream with wild cherries Amarena Fabbri and bake at 180`C for another 15 minutes. 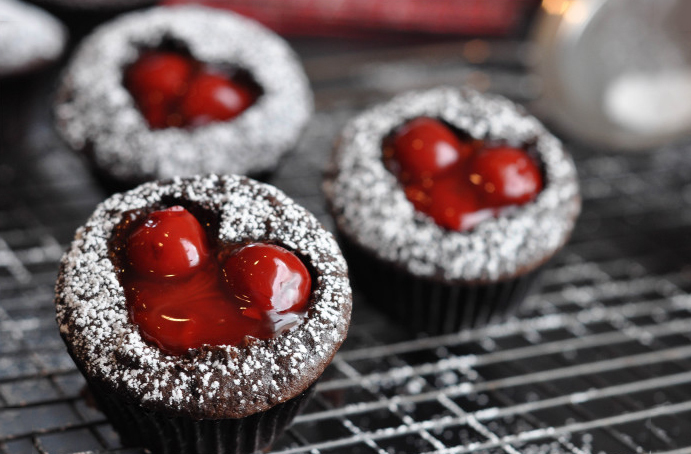 Serve the finished cupcakes decorated with several wild cherries and sprinkled with a little of their aromatic syrup.